It is for a one on one consulting session for up to two hours of business guidance. I run the sessions via Skype or FaceTime for those not based in Durban so everyone can make use of the service. It is one of the most popular aspects of my business where creatives get to tackle concerns or ideas directly related to their needs. The session is ideal for those just starting out or thinking of taking the creative business leap. It is however, suitable for creative businesses at any level. I cover what you would like me to. Sometimes it's a pep talk, or a strategy... it's up to you and if you don't know where to begin then don't worry, I can help with that too. There are only ten of these special packages available so don't delay. They sold out last year in record time. Name of person you are gifting it to. 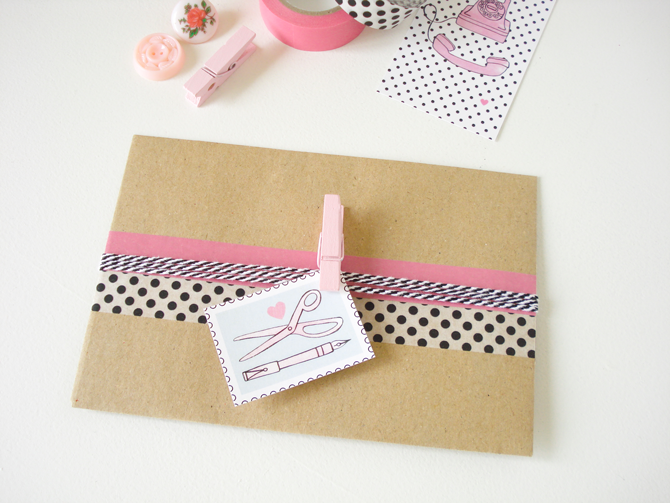 Postal address for where you want it to be sent to. Vouchers will be posted off at the end of this week and will arrive at the closest post office to the address by Tuesday 22nd December. I can either send it to you or to your friend - please specify. If you are based in Durban you can collect it or receive your items at your session. A two hour session voucher (valid for six months). 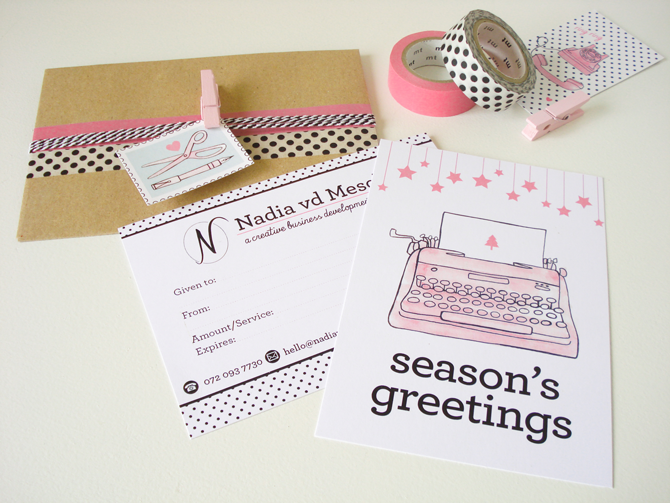 Free overnight postage via Speed Services to your closest post office. Will arrive by Tuesday 22nd December. The total value is R550 including all the little added extras and the overnight postage, but I'm offering it for R400 up until Thursday 17th December. The voucher is valid for up to six months so the recipient can book a session to suit their schedule. 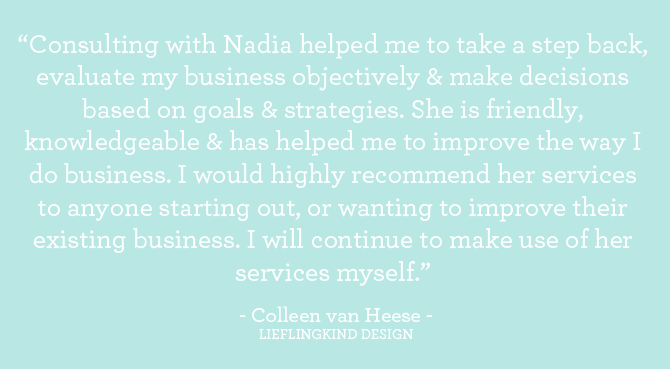 Here are a few kind words from Colleen van Heese - Lieflingkind Stationery & Design. Colleen received a voucher last year as a Christmas gift from her kind and sweet husband.